We started in Amsterdam, and after a stop in Warnemunde, Germany along with an hour time change ahead, we arrived in Tallinn, Estonia. 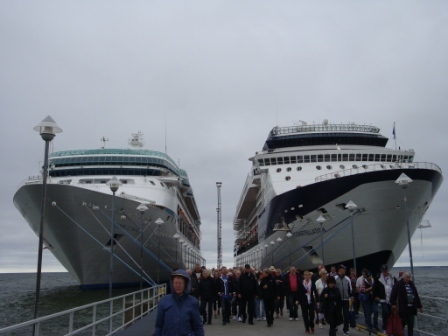 From the port (our ship is on the right), it was an easy 10-minute walk to the Old City. The intriguing Freedom Square on our return walk to the Old City. 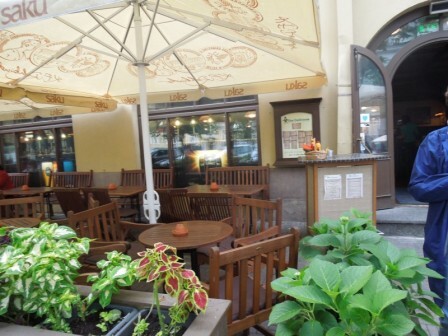 Meanwhile, below the last picture is a delightful 2-minute video tour of Tallinn. This entry was posted in Baltic Cruise, Travel and tagged Baltic Cruise, Celebrity Constellation, Celebrity Cruises, Cruise vacation, Estonia, Estonian beer, Northern Europe, Old Tallinn, Scandinavia cruise, Sightseeing, Tallinn, Tallinn Estonia, Tallinn Old City, Travel, Travel Europe, Vacation. Bookmark the permalink. The Baltic countries were lucky – they were out of range for US/UK bombers, and by the time the Russians were counter-attacking the German army, the Germans were in headlong retreat, so there wasn’t a lot of destructive siege warfare. There’s a Lithuanian Orthodox church not far from O’Hare in the northwestern suburbs of Chicago, that looks VERY similar to the Russian Orthodox one you have pictured. I LOVE that architectural style! To no surprise, I expected your WW II additions here. Of course the big question is will I use Leningrad in the next posts of this series. 😉 Thanks for sharing. PS: And you … you of all people has surprised me by not noticing the surprise guest in this pics. Ok, my mental density has obviously passed that of neutronium. Who’s the guest? I saw Shrek in one – is that it? Okay – I didn’t see him at first ’cause of the kid straddling him. So was it some poor sot on his hands and knees, two dwarfs, or stuffed? But I still sneaked the Green head past you! I didn’t realize that Baltic cruises were on such big ships. 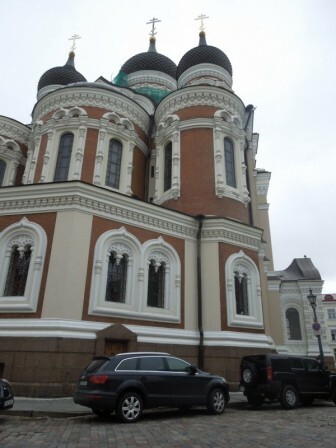 Tallinn is a gem, and cruises are a great way to get a nibble of many great cities of northern Europe. Meanwhile, John E is very good at adding WW II info ,,, as a matter of fact, I count on it. Thanks for commenting. A wonderful city … and I recall you saying my pics are retracing your footsteps. 🙂 Let me know about the pic. Thanks for stopping by. Ding Ding Ding!!! Winners to the two of us for coincidence! And yes, their is a courageous story to tell about them. Thanks for sharing. 🙂 We are in tune with with universe!!! very interesting photos, and I’m sure that a bit of time spent in the ‘old world’ really gives you a different perspective. Sounds like a great trip. Absolutely … and my wife and I enjoy Europe very much. Thanks for stopping by. Thanks… Cute in the video. I’ve wanted to go to Estonia for a few years now. Tallin is a photographer’s gold mine, so I hope you make it. Thanks for commenting. Woo hoo! Glad you got to see Estonia and I was able to introduce it to you. 🙂 It was a wonderful cruise and more pics to come. Thanks for visiting. 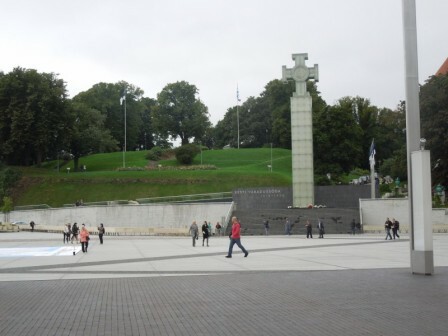 We went to Tallin from Helsinki for the day a while ago. It is a very pretty city, but we found the people to be most unhelpful, and were not at all friendly unless you were actually buying something from them. We didn’t interact that much with the locals, so I have no thoughts on that. Meanwhile, yes, the city is wonderful for the eyes! Thanks for sharing. 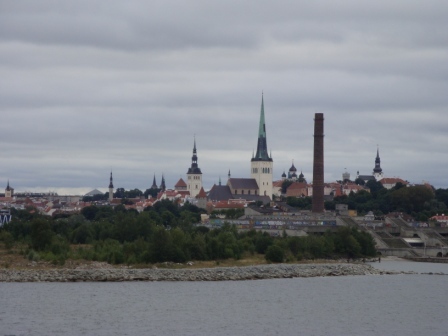 Gosh, I want to go on a European cruise–or better yet live in that lovely Estonian town. Looks like such fun, Frank. Can see you like your beer *smile – never been to Tallinn or Estonia, but I have friends that has been there and they came back .. lyrical about the place. In 28 September 1994 a ferry between Tallinn and Stockholm went under, sank during a stormy night – 852 people died. 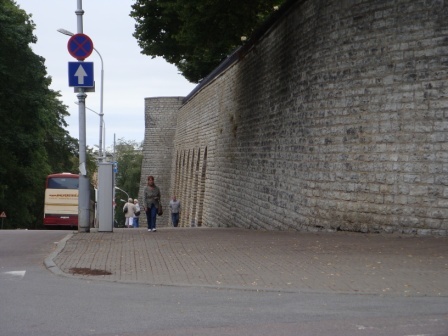 So for us Swedes – Tallinn also carry some sadness. Yep … I recall the ferry news, and it must be sad for all in the region. 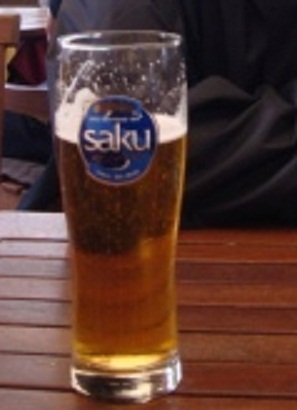 Actually, I’m not a big beer drinker (prefer wines) … but on that day, a beer fit the occasion. Thanks for sharing the ferry news with all. It was very sad when it happen, the whole union section for the Stockholm police force was killed and the all member of city council for a smaller town in Sweden. I think we are all deepen by it still. 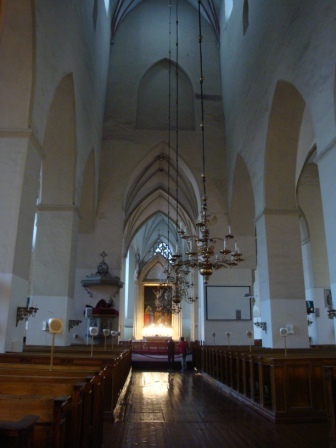 Sweden also lost over 900 people in the Tsunami. We are a small country – but we had some losses. 900 Swedes in the Tsunami? Wow!!! Thanks for sharing the sadness. What a lovely trip. I think the way you traveled sounds like such a wonderful balance between relaxation and getting your walking shoes on and just exploring. 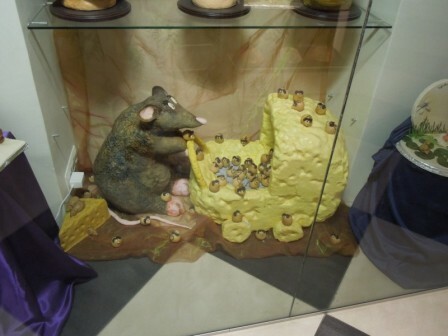 I love the marzipan museum. That would be a must for me! 🙂 A very lovely city, and I am sure the photos are first glimpse for me. If giving others a glimpse of places encourages them to visit, wonderful! Simply so much to see in the world, and so little time and resources. Thanks for commenting. How wonderful. Great photos Frank. THe one with the ships docked side by side is art! Beautiful images, beautiful experience. As a nonphotographer, I’m stunned about the high praise of the photo. Many thanks and glad you enjoyed them. I remember my visit to Talinn with its colorful, narrow and steep streets but I missed the Estonian beer so you’ve got the better of me on that one. Ah ha … love it when I get others to confirm the visit. Glad I was able to one-up you on the beer. 😉 Thanks for sharing your thoughts. Awesome! I have a good friend from Finland who has made me quite interested in Estonia for quite some time. 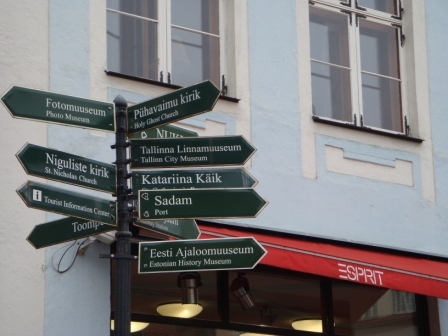 Apparently, Estonia and Finland share a lot heritage together, as well as surprisingly similar languages. I believe their languages are similar, but I’m not sure. Hope you get to visit there someday! Thanks for commenting. Coming from a savvy traveler as you, many thanks. So have you been there? Meanwhile, who would have imagine marzipan figurines! Thanks for commenting. Many thanks. It was a beautiful setting with an interesting history. Put it on your list of places to go. 🙂 Thanks for stopping by. Another place I would love to visit, Frank! Thanks for the tour… I never realised the buildings there looked like that! Trip to that region is much closer for you than I … and I recommend it! Glad you enjoyed these pics and thanks for commenting. Frank, this is awesome! I’ve been waiting for your cruise pictures (I actually thought you had forgotten about posting them), because this is the next cruise that WW and I want to take. I’ll show WW these pictures tonight to get him inspired. 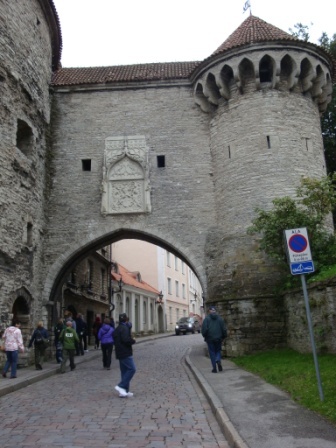 I am struck by how well preserved Tallinn is and how clean it is. Wow, what a treat. I’m sure you and Mrs. A had a wonderful time. Thanks for giving us something to think about other than elections crazies. Cheers! Glad you enjoyed this plus I hope the two of you get to go soon. Wonderful trip!!! By the way, links in the first paragraph for 2 others posts I did about this cruise. Don’t miss them. 😉 Thanks for visiting. 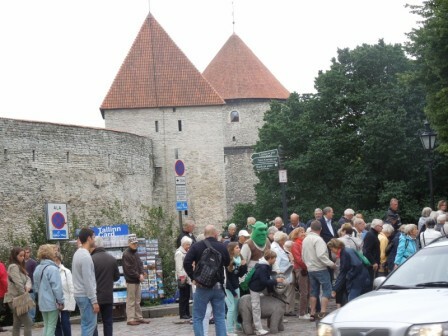 Finns visit Tallinn every single day. We make the cruise about once a year. 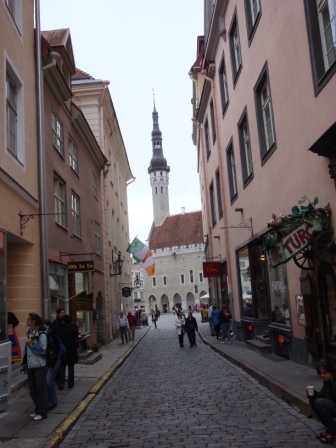 The old town is a must to see in Tallinn. Nice photos! Nothing like an experienced traveler to confirm the joys of a destination. Many thanks for sharing. what is Bruce Springsteen doing in your pics? oh you caught me dressed up as what the heck is that guy’s name — need another coffee- is that Schek? Yep … and Donkey too! I will have to go back and look for Donkey too – I missed him. Glad you enjoy my simple travelogue. … and thanks for visiting. What a great city — I guess I’d better put that one on my list! Absolutely! 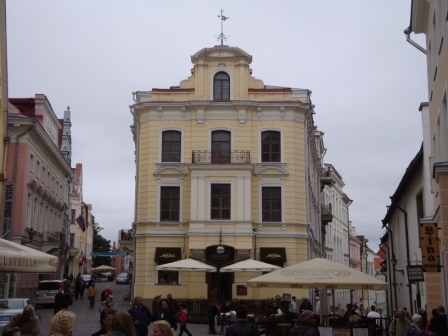 … The Baltic region has many gems! Thanks for commenting. That really is a beautiful city. Did the old city seem like a normal productive city, or was it all tourist oriented? The Old City was more tourist oriented, but step out side the way, life seems what one would expect. Glad you enjoyed this and thanks for commenting. Shrek! Didn’t realize the old ogre was such a world traveler. lol! It looks like a beautiful old city, Frank. Good eyes! Shrek and Donkey were unexpected sights of the day. 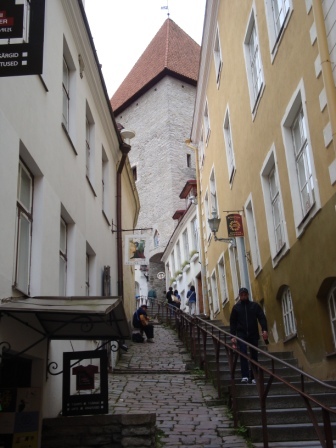 Tallinn’s old city was a real treat! Thanks for hopping on the tour. You have the same style of travelling. Walk lots, take many pictures and have a beer, with photo of course. We do walk a lot … also helps keep the pounds down from cruise dining! Tallinn was outstanding. Thanks for commenting.